Tooth Replacement,Dental unit,Tooth,Teeth,Tooth Replacement: What Dental Implants Can Do for You-Dental unit Dental Equipment Foshan Golden Promise Import & Export Co., Ltd.
Foshan Golden Promise Import & Export Co., Ltd. 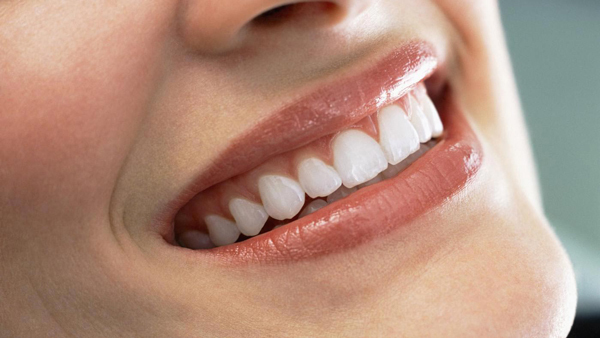 Dental restoration technology has come an incredible way in the past decade. Instead of merely using things like crowns, dentures and bridges to supplement teeth that have been lost due to extensive damage or accidents, teeth can be replaced with dental implants. To learn what this advanced type of tooth restoration can do for you, let’s examine some of the reasons that dental implants exceed what other types of restoration can do. The most amazing thing about dental implants is that they look just like natural teeth. They can be matched to the color that your surrounding teeth are because dental implants are topped with a crown. Couple this with the fact that the dental implant base is fused to the bone, and you have a long-lasting solution for dental replacement that functions closely to how real teeth do. They even have the added benefit of a lessened risk for gum erosion compared restorations like bridges. A common complaint from patients who have dentures is that it’s hard to talk when they first receive them. Even chewing is a chore, as the patient must learn how to chew a certain way to work with the dentures. Implants have no such special procedures that patients have to follow. They act like real teeth, which means that everyday activities like speaking and chewing food stays similar to how they would be with natural teeth. This leaves dental implants as one of the most comfortable and natural-feeling solutions available for tooth restoration. Improvements in dental implants have greatly increased how successful implants are. Skilled surgeons are able to install dental implants that are successful 98% of the time over a 5-year period. These success rates are accompanied with a lower incidence of complications when compared to traditional methods of restoring lost teeth. There is no uneven distribution of forces with tugging, nor is there an increased risk of gum loss like with dentures or bridges. The best part of dental implants is that they’re relatively low-hassle when you have a surgeon with enough experience. Implants can be allowed to heal over 3 to 6 months before the crown prosthesis is installed, or they may be installed in the same visit as the anchor. The last major benefit that dental implants hold over other types of restorations concerns the heightened sense of self-esteem that patients with implants tend to feel. Because the implants look and feel like real teeth, patients feel more confident with them. This allows for them to continue living their lives without worrying about their prosthesis slipping out of their mouth like they might with dentures. Replacing one lost tooth used to have a number of burdens associated with it. Dental implants offer one of the most effective solutions for replacing one or more teeth with very few drawbacks. Consult your local dentist to learn if dental implants are right for you. They may be able to give you the kind of smile you desire with fewer complications than other tooth replacement options. Copyright (C) Foshan Golden Promise Import & Export Co., Ltd.